Amanda Murphy Design: Modern Holiday Blog Tour Starts this Monday! My Modern Holiday Blog Tour starts this Monday and I can hardly wait. 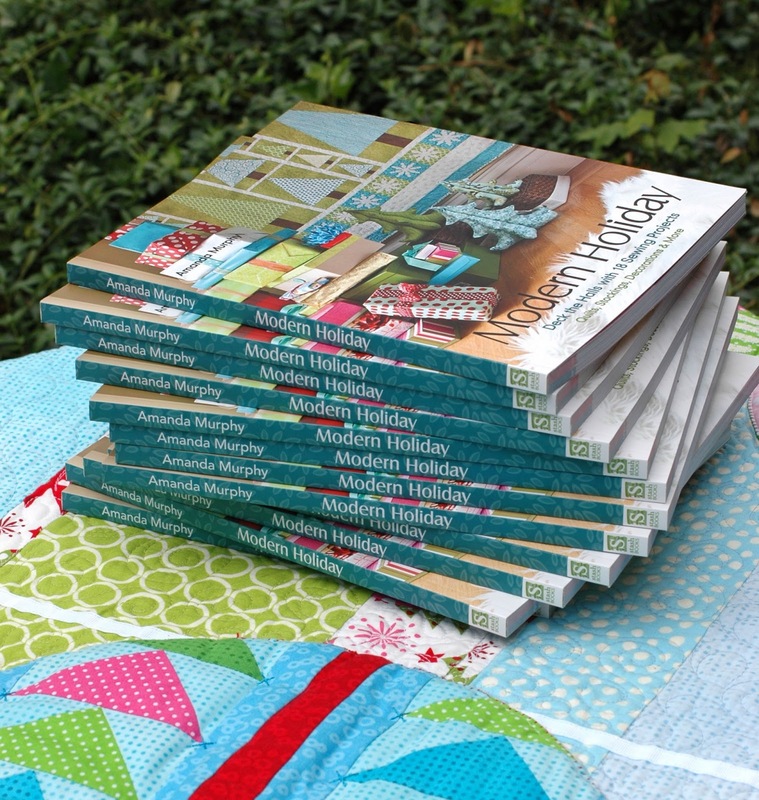 The theme is "Christmas in July" and I have a great lineup of contributors who graciously agreed to help me out and each will be giving away a copy of Modern Holiday, so make sure to enter on each site for more opportunities to win! Great line up! Can't wait to see everything! Congratulations on your book, I know it's amazing, it's yours, hehe. Congratulations! Your blog hopping sites are sure to be wonderful! Hi!!! Your book looks wonderful!!! I recently won some of your fabric and I love love it!!! It is Bon Ami cool!!! Beautiful!!! I will be using it in the Aiming for Accuracy at quilting gallery but it will be mixed with other fabrics!!! Thank You!!! Congratulations on your book.That`s great and can´t wait to start the fun.Thanks for the Blog Tour!! This will be so much fun. I would love to receive the book. Congratulations again. I can't wait to get my hands on my own copy of the book. I love the snowflakes and would make them on lime green like in your cexample. what an exciting book and book tour! i'm liking the forest quilt and would love to make it as 'winter forest' ... thanx for the chance to win a copy of this book.